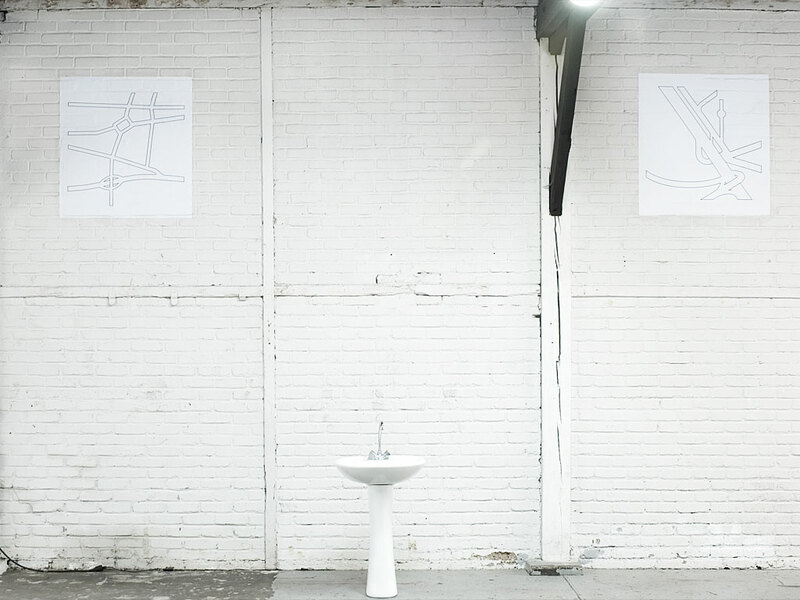 12 inkjet prints on paper (6 shown in the exhibition), 100 x 91 cm [39 3/8 x 35 7/8 in.] each. 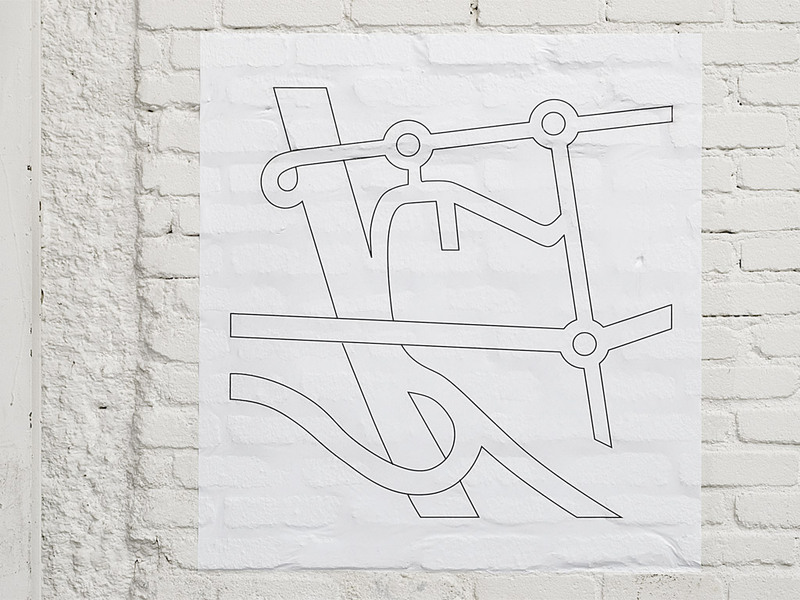 “Maps” is a series of vectorial drawings first started in 2001, based on maps of freeway off-ramps leading to Ikea outlets in suburbs around the world. Being first and foremost computer files, these drawings have no fixed size or support. Each presentation of this series can therefore be materialized differently in response to the context of its exhibition, and the title is translated into the language of the place where the work is shown. 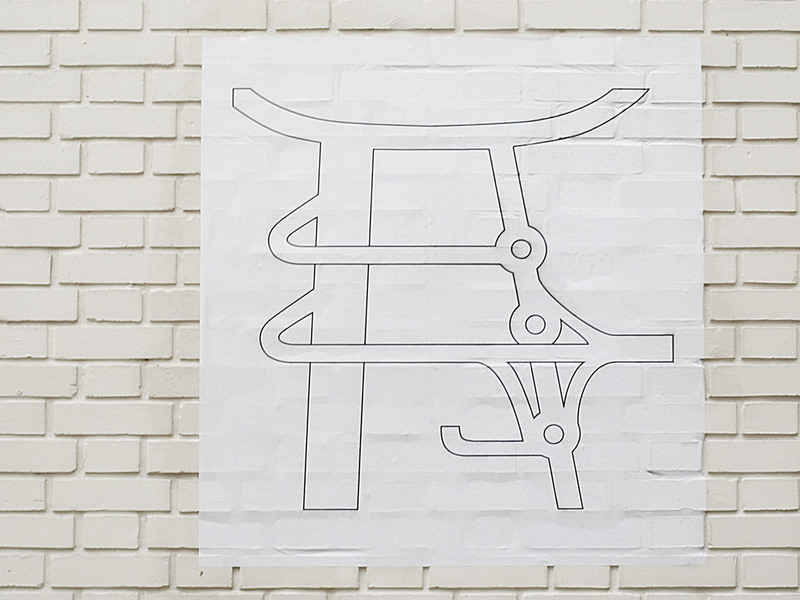 For the exhibition “Logiques du rêve éveillé,” six drawings from the series were printed with a laser plotter and glued to the Instant Chaviré’s brick walls with billboard paste. Dispersed throughout the exhibition space, the series “Plans” (Maps), was shown together with “Photographies” (Photographs). The series “Maps” and “Photographs” scope out two different ways in which geographical sites are commonly represented today. Instead of surmising the predominance of globalization, these pictures show that the standardized continues to intersect with the specific.